Multisize tiles draw your eyes out without settling on a defined pattern or line so give a wonderful continuous feel. 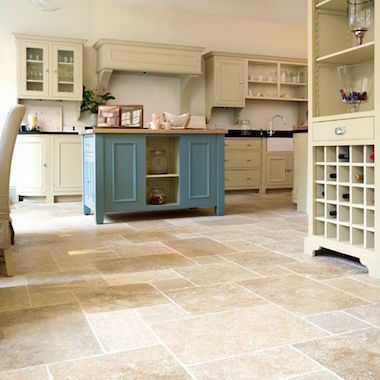 If it's a larger floor style and panel tiles you are going for then they are great for open spaces like kitchens and conservatories and can emanate natural stone - without the hassle of course! If it's a smaller border style it can add a continuous border or feature.